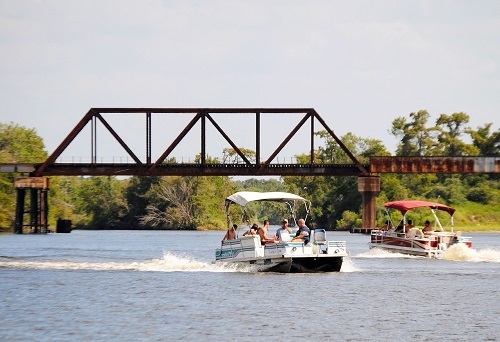 Pontoon boats have become a very popular option for boat lovers over the last decade. They offer all of the comforts of home on the water, space for entertaining, and a nice, relaxing ride. Pontoon boats are very reasonably priced for their size and a real value for those looking for a boat that can carry many people. Pontoon boats are also extremely safe and ideal for families. If you are a pontoon boat owner, you also know that the repairs are generally pretty minimal for this type of boat. However, normal wear and tear can cause minor damage and after a number of years in the water, you may need a minor repair, or you may decide to invest in some upgrades to make your boat even more comfortable for you and your guests. Anchor Marine Repair can complete all types of pontoon boat repairs and renovations for those in the Minnesota area. The team at Anchor Marine Repair has a combined 45 years of experience with boat repairs, including repairing pontoon boats. As the #1 boat repair company in the Minneapolis area, Anchor Marine Repairs boasts 10,000 square feet of workspace in its two state of the art buildings as well as a 42 and a 48 foot spray booth, meaning that they can easily accommodate boats as large as 38 feet in length. Anchor Marine Repair uses only the highest quality boat repair materials and products available, and are always on the cutting edge offering our customers the latest technologies and techniques in boat repair and renovation. As an insurance approved vendor, we work directly with insurance companies to guarantee the best possible repair. To further meet our customer’s needs, we are also happy to pick up your boat from your home (or dock) within a 250 mile radius of Minneapolis/St. Paul. Some of the most common work Anchor Marine Repair completes on pontoon boats include replacement seats, furnishings and accessories, a new Bimini top, new canopies, new carpeting and minor repairs from normal use. Look no further than Anchor Marine Repair if you are looking to have some work done on your pontoon boat this season. Our team will be up front about pricing and find a time convenient for you that the boat can be picked up and returned to make it easy for you. Call Anchor Marine Repair today at 1-763-972-3540 for more information!